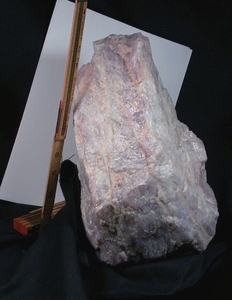 This 7x 8x 13� long sweetly massive rare lavender rose quartz rough has lithium inclusion in addition to iron, titanuim and others which give the exceptional color range. 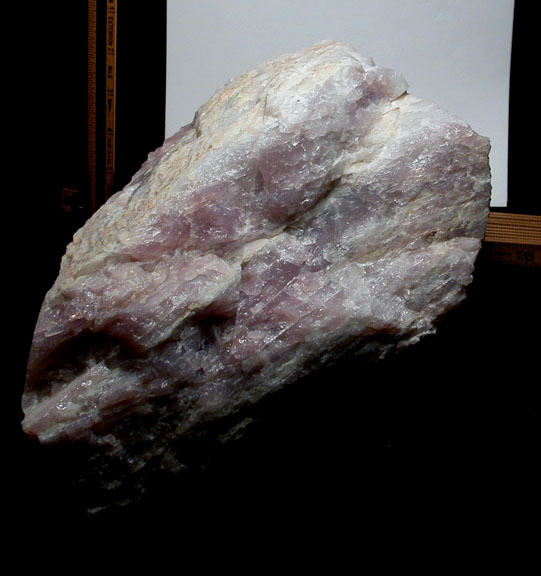 Translucent deep lavender to orchid gem grade areas intergrown with very palest pink milky quartz form a graceful tapering heart shape with areas of begining regrowth. Can stand with minor support or recline to show this beguiling heart shape. Keep from display in direct sun and/or fluorescent lights to preserve the natural hues. 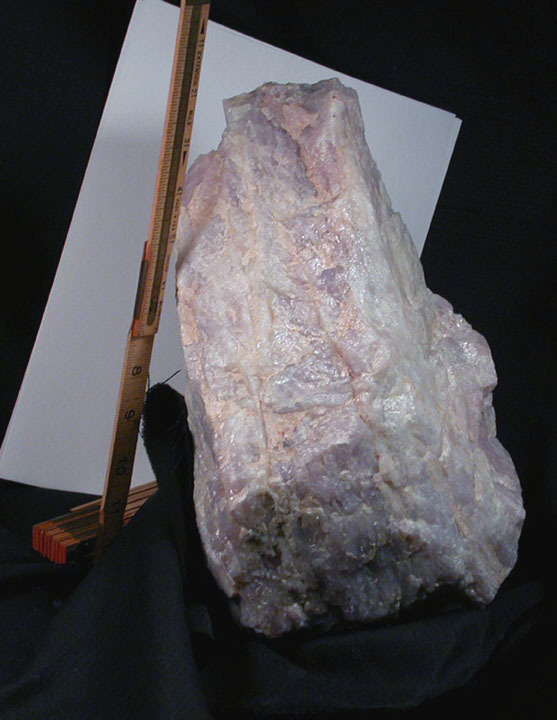 From a long closed California mine. Sent doubly-boxed with handwritten description on the reverse of our enclosure card. Shipping will be added.